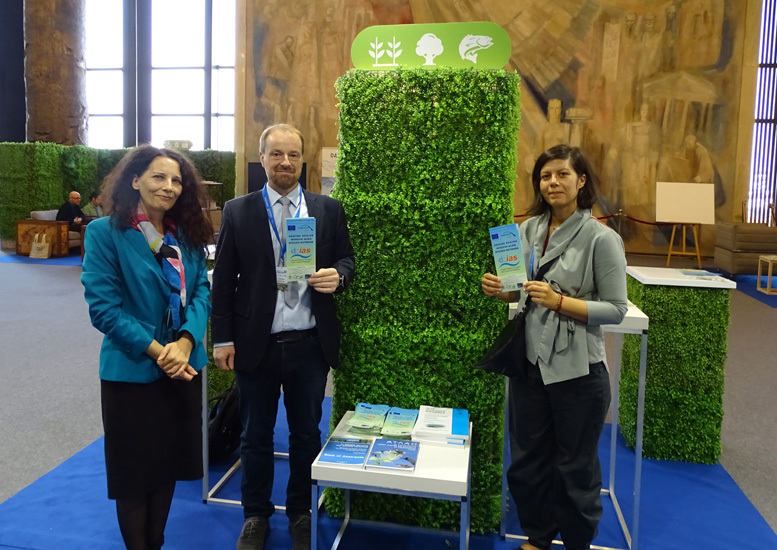 The Danube River Invasive Alien Species Network (DIAS), ESENIAS and the Institute of Biodiversity and Ecosystem Research, Bulgarian Academy of Sciences (IBER-BAS), were represented at the 7th Annual Forum of the European Union Strategy for the Danube Region (the Danube Strategy, EUSDR) (https://www.7danube-forum-sofia.eu/), which was held on 18-19 October 2018, in Sofia, Bulgaria. In 2018 Bulgaria is for the first time the rotating Presidency of the Danube Strategy. The Annual Forum was jointly organised by the Bulgarian Ministry of Regional Development and Public Works and the European Commission, in cooperation with the Danube Transnational Programme (DTP). The main focus of the event was on tourism development as a precondition to economic growth and territorial cohesion. Issues related to synergy and consistency between macro-regional strategies for achieving the common objectives of the EU and for the future of those strategies after 2020 were also referred to. Current activities and projects within the 11 Priority Areas (PA) of the EUSDR were presented and discussed by the PA coordinators and participants at specially dedicated meeting corners. 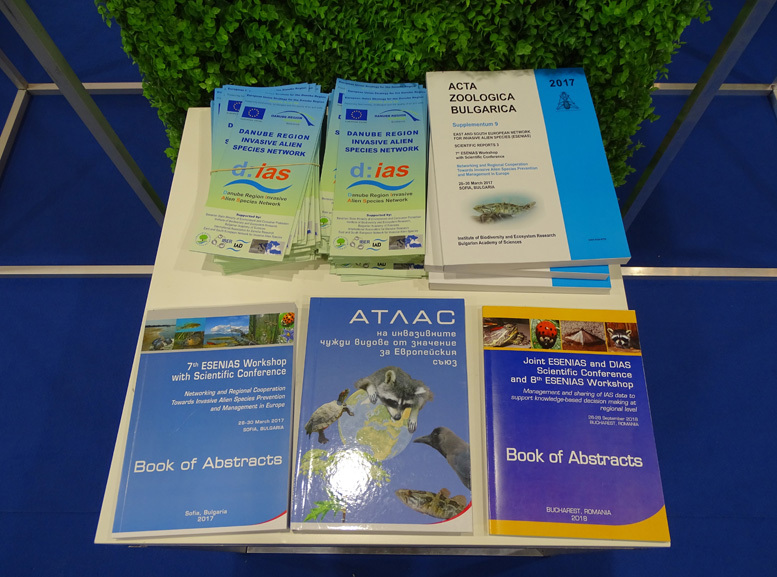 Information about DIAS and its activities, and publications by DIAS, ESENIAS and IBER-BAS were presented at the meeting corner of Priority Area 06: Preserving biodiversity, landscapes and the quality of air and soils. In the implementation of its mission, DIAS promotes an improved coordination among all actors in the field of invasive alien species (IAS) within the Danube Region. Politically independent, it brings together scientists, authorities and stakeholders and: 1) supports sharing of knowledge; 2) formulates a strategy and work plan to efficiently tackle the issue of IAS in the Danube Region; 3) considers and cooperates with existing European and global IAS networks and organisations; 4) develops individual but coordinated projects in the single regions; and 5) promotes the transfer of knowhow and expertise to actors on all administrative levels; in a transnational context in order to contribute to a sustainable and livable future of the Danube Region. Some joint projects with the participation of countries in the Danube Region within the frame of DIAS, such as Danube – IAS Corridor and Danube–IASapp have been conducted. Currently, the main focus of DIAS is the completion of the DIAS Strategy and Work Plan. The DIAS Strategy provides the goals and objectives, possible measures and recommendations, and defines relevant actors on seven IAS key topics. Issues related to IAS as well as potential collaboration within the Danube Region were discussed by interested participants at the Priority Area 06 meeting corner.